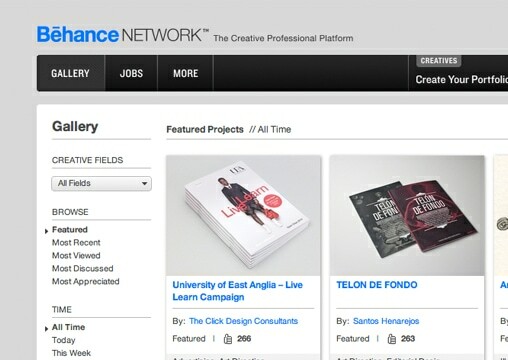 We’re featured on Behance Network. Behance Network is a gallery consisting of the world’s finest creative talents. It is a place where creatives can share their work with their peers. In little over a week we’ve had over 14,000 people view our work with 650 official appreciations before featuring on the home page. Although we’ve slipped off the home page (now on page 3), we’d like to thank all those who sent us lovely messages.